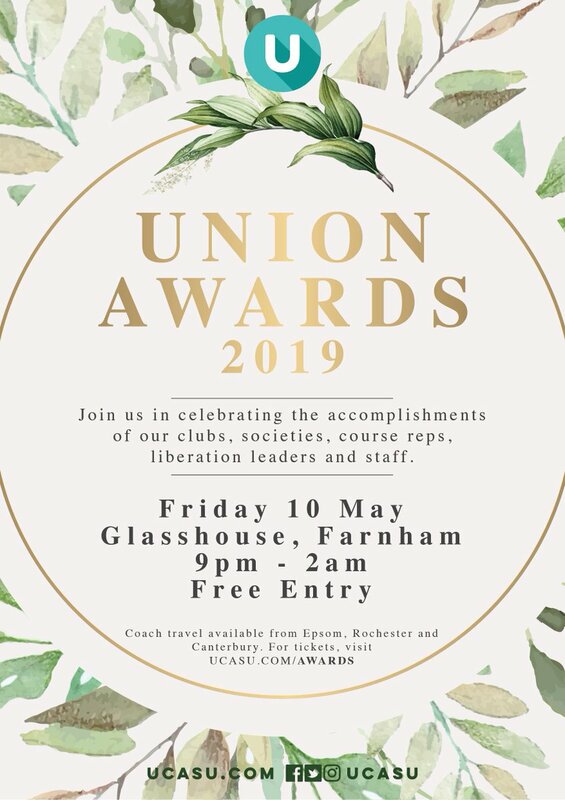 The Union Awards ceremony is our most glamorous event of the year! Dress to impress at our red carpet reception, with a fully decked out venue and performances from some of our amazing clubs and societies, and it doesn’t end there. No awards ceremony is complete without an afterparty, and this is no exception. Our venue DJ’s will be playing until 2am, with free entry for everyone. Coach travel will be available for students and staff from Canterbury, Rochester and Epsom. There will be 25 seats on the Kent coach and 25 on the Epsom coach. At least 80% of these coaches must be reserved in advance for the coaches to be booked. Alternatively, we recommend train or car travel – designated drivers will receive special perks on the night, to say thanks for the part you’ve played in helping people to safely attend Awards.